SEJONG -- The administration of President Moon Jae-in is facing a tough test with regard to two government projects planned by the previous administration, which would see new airports built in Jeju and South Gyeongsang provinces. The Jeju project -- announced in November 2015 by the government of former President Park Geun-hye -- would entail the establishment of a second airport in Seongsan-eup, Seogwipo City, on the eastern part of the island as a way of dispersing visitors. The consensus was that Jeju International Airport in Yongdam-dong, Jeju City, which has served the island since 1958, lacks the capacity to handle the rapidly growing numbers of tourists and flights. 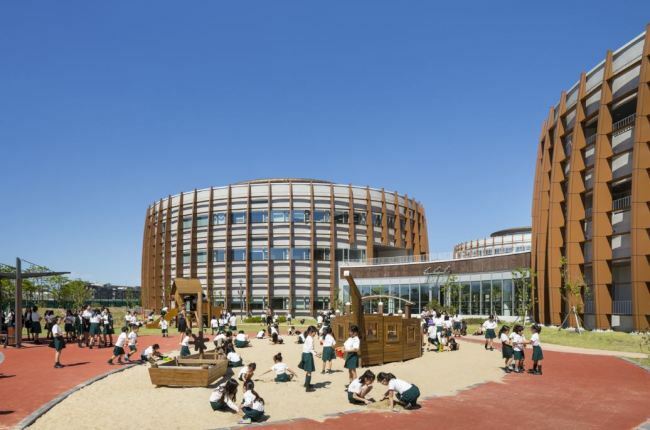 The number of Jeju residents has increased 23.6 percent over the past two decades -- from 539,493 at the end of 1999 to 667,337 in January 2019 -- amid a development boom and active efforts to attract foreign schools to the southwestern part of the island. But groundbreaking for the project, slated for 2018, failed to take place amid backlash from Jeju citizens and civic groups, and the project is now deadlocked. Opponents say the presence of a new airport would devastate the sensitive ecology in the Onpyeong-ri and Sinsan-ri areas of Seongsan-eup. Furthermore, some worry that the airport could be used for military purposes. They are holding a series of rallies, including hunger strikes, around the Jeju Special Self-Governing Province Office in Jeju City, the Ministry of Land, Infrastructure and Transportation in Sejong City and Cheong Wa Dae in Seoul. But it would seem that many other Jeju residents support the project, as the majority of Jeju voters selected airport advocate Won Hee-ryong as governor in the 2018 local elections. Observers say this is causing political disharmony between Gov. Won -- who ran as an independent candidate but appeals to a conservative voter base -- and the liberal Moon administration. A recent poll by Jeju MBC revealed that the island’s residents were split over the airport project, with 52.9 percent in favor and 43.8 percent opposed. The Korea Airports Corporation reportedly aims to open the second airport by 2025. Meanwhile, some of the Jeju protesters are coordinating their efforts with opponents of a project to rebuild Gimhae International Airport in Daejeo-dong in the western part of Busan. In June 2016 it seemed that the decadelong dispute over Gimhae Airport, which centered on whether to remodel the existing airport or build a new one to replace it as the representative gateway to the nation’s southeastern region for overseas travelers, had finally been resolved. At that time, the Park administration decided to expand facilities such as runways and passenger terminals at the existing location. But since May 2017 there have been revitalized calls for its relocation, particularly among regional political heavyweights in Busan, Ulsan and South Gyeongsang Province, who say the existing airport is too small to absorb demand from increased international traffic. Citing safety matters at Gimhae Airport stemming from physical limits on runway length, as well as the aggravated noise pollution that would inevitably result from an extension, those arguing for a new one are again highlighting Gadeok Island as a promising location. The island is part of the city of Busan and as such is located between the popular destinations of Gimhae and Geoje Island. In response to the possible reversal of the government’s earlier plans, opposition has emerged over the past few months from retailers around Gimhae Airport and fishery workers on Gadeok Island. The Land Ministry has yet to clarify its stance, having previously announced plans to break ground for the project as early as 2021 with the goal of completing it by 2026. The budget allocated for the new airport is 5.96 trillion won ($5.29 billion). A professor of environmental technology based in Seoul was quoted by a business daily as saying that the best policy would be to pursue the current plan, rather than reopen discussions. In contrast, a research fellow from the Busan Development Institute said the plans to upgrade Gimhae Airport, which have been under discussion for a decade, fall short of what is needed for an airport of a scale and reputation befitting the southeastern part of the nation. He advocates a reassessment of other candidate sites before construction begins. According to data from the Korea Airports Corporation, Jeju International Airport ranked second among the nation’s 15 airports in terms of the number of passengers served in 2018, which stood at 29.45 million. Incheon International Airport, the nation’s largest, served 68.25 million passengers in 2018. 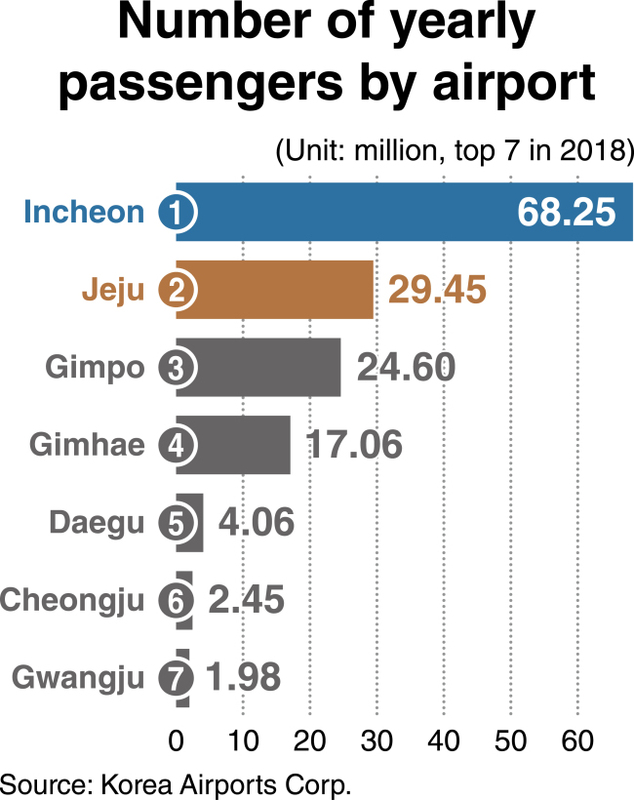 Gimpo and Gimhae ranked third and fourth, respectively serving 24.60 million and 17.06 million passengers.